Dr. Appleton is the Co-Founder of Genesis Psychology Group and a Principal Partner. Dr. Appleton is a senior professional staff to more than 10 Psychologists within the group. He is a Licensed Psychologist and Expert in Forensic Psychology who has earned national respect for his comprehensive in-depth analysis of complex cases. 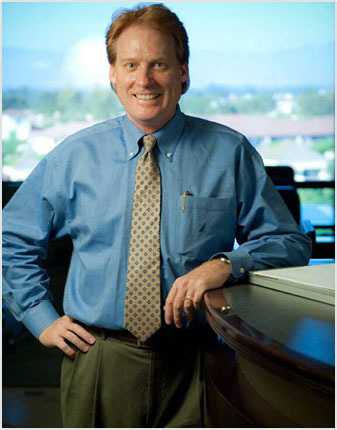 He has served as an expert in personal injury and industrial injury cases from California to Florida. Dr. Appleton has gained an unparalleled reputation for his articulate advocacy not for applicant or defense but for the clinical realities of the cases before him. He has earned that reputation by drawing on a distinguished 25-year career of clinical, forensic, trauma response, and media experiences. His skill is most apparent in complex contested cases. In 1990, Dr. Appleton was awarded the Psy.D. in Clinical Psychology from Pepperdine University after earning Bachelors and Masters Degrees in Psychology from California State University, Northridge. During his doctorate training, Dr. Appleton interned at Olive View – UCLA Medical Center providing assessment and treatment of such diverse cases as personality disorders, substance abuse, and severe chronic mental illness including schizophrenia. However, Dr. Appleton’s forensic experiences extend back nearly 30 years to the late 1980s when he started a near-decade career as an Industrial Injury expert at the Barrington Psychiatric Center in Los Angeles. While there, he was a four-year presenter before attorneys at the California Bar Association on wide-ranging mental health topics. His current role as Principal Partner in Genesis Psychology Group was the natural next step for Dr. Appleton after 10 years with Framer Psychology Group where he was the top producer in that multi-faceted medical-legal practice. With each step of his professional development, he has far outpaced his peers in the quantity and quality of his work product, always with a keen eye for the truth of the case. In response to community crises, Dr. Appleton has served as a trauma counselor or media personality. He responded to such high-profile events only some of which include the Los Angeles (Rodney King) riots of April and May, 1992 and the Landers/Big Bear Earthquake a month later. He also served the North Hollywood Bank of America robbery and shootout in February 1997 and the Los Angeles Jewish Community Center shooting of August 1999. He was thrust onto the national stage as an invited trauma expert serving first responders during the terror attacks in New York City on September 11, 2001. Dr. Appleton’s tireless energy, deep compassion for his patients, and effective clinical skills in his clinical work have served him exceptionally well in the objective arena of forensic examinations. Dr. Boehm is a Principal and Co-Founder of Genesis Psychology Group, bringing more than 20 years of teaching, evaluation, clinical and forensic experience to this dynamic psychology practice. 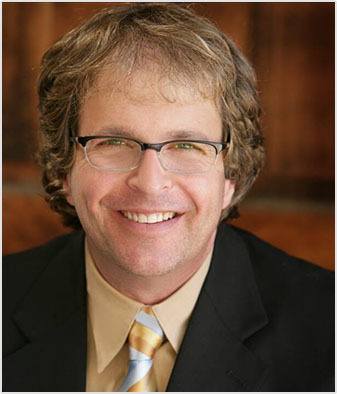 Dr. Boehm is a senior professional staff to more than 10 Psychologists within the group. He is published in the field of employment law and is an expert in both civil and employment litigation. In 1988, Dr. Boehm earned the Ph.D. in Counseling Psychology from the University of Southern California. While at the university, Dr. Boehm was a psychometrist, teaching assistant, premedical academic advisor, and lecturer. However, his interest in employment psychology began during his years as a police psychologist with the Los Angeles County Sheriff’s Department. He provided on-site trauma debriefings, advised Sheriff’s administration on handling the psychological aspects of police work, and used the knowledge gained from his Doctoral Dissertation to train peer counselors. For two years in the late 1980s, Dr. Boehm was a Staff and Senior Psychologist in the Riverside County Department of Mental Health, serving adults, children, and families. He also ran the inpatient adolescent unit where he honed his assessment skills. Dr. Boehm’s early medical-legal development was as a forensic psychologist at the Barrington Psychiatric Center where he was a leading top-quality producer. In 1994, he was an invited chapter contributor to the first edition of Mental and Emotional Injuries in Employment Litigation (edited by James McDonald and Francine Kulick) which elevated his professional stature above his peers in the field. Throughout the decades of the 1990s and the new millennium, Dr. Boehm frequently responded to industrial psychological traumas from bank robberies and explosions to electrical fatalities and amputations. For nearly 10 years, Dr. Boehm was a core member of the professional staff at Framer Psychology Group as a full-time evaluating psychologist and consultant to businesses. While there, he maintained an ambitious and independent adult treatment practice. The natural next step was to partner with Dr. Appleton to create Genesis Psychology Group which combined expertise, staff, and resources to broaden services and professional products to our customers. His easy-going and calm demeanor allows Dr. Boehm to establish rapport quickly and easily with those clients he evaluates and treats. It is a style -- a gift -- that consistently earns him the highest marks from clients, adjusters, and attorneys alike. Copyright 2016 Genesis Psychology Group. All Rights Reserved.